According to the Evening Standard, ​United are eager to land the prodigious talent when the summer transfer window opens, and have been buoyed by the knowledge that ​City failed to insert a 'No United' clause in his contract - a feature they insisted be in Brahim Díaz's contract when he joined ​Real Madrid last month. 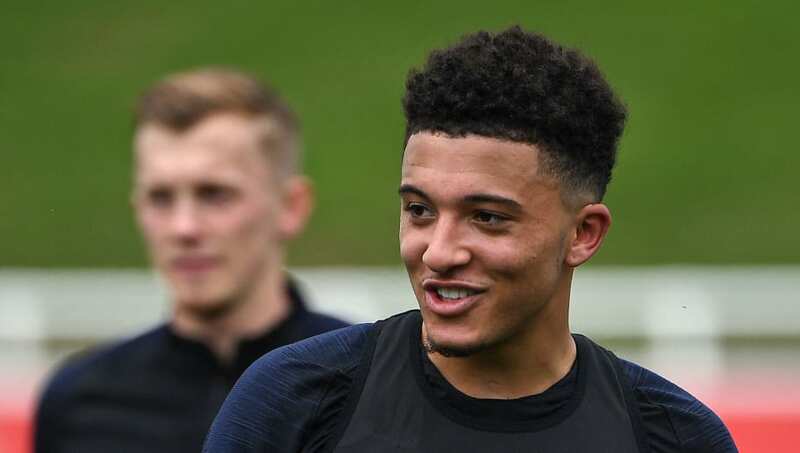 The report notes that ​Dortmund have been bullish in their refusal to entertain offers for Sancho, but claims an offer in excess of £80m should be enough to see them weaken their resolve. City are thought to have a buy-back option, but are said to be unlikely to use it, given Pep Guardiola's opinion that the player shirked the challenge of earning his place at the club. After falling behind City and ​Liverpool in the title race this season, United will be desperate to re-assert themselves as one of the ​Premier League's most feared sides. Signing Sancho would be an impressive statement of intent, and the player looks capable of thriving in the English top tier for years to come. Meanwhile, United midfielder ​Paul Pogba has revealed he's hoping current caretaker boss Ole Gunnar Solskjaer is given the manager's job on a permanent basis in the summer. He has also claimed the side struggled under former boss José Mourinho due to a lack of confidence and morale among the squad towards the end of his tenure.